This basketball season, stay on top of the Jesuit matchups with the help of AJCU. 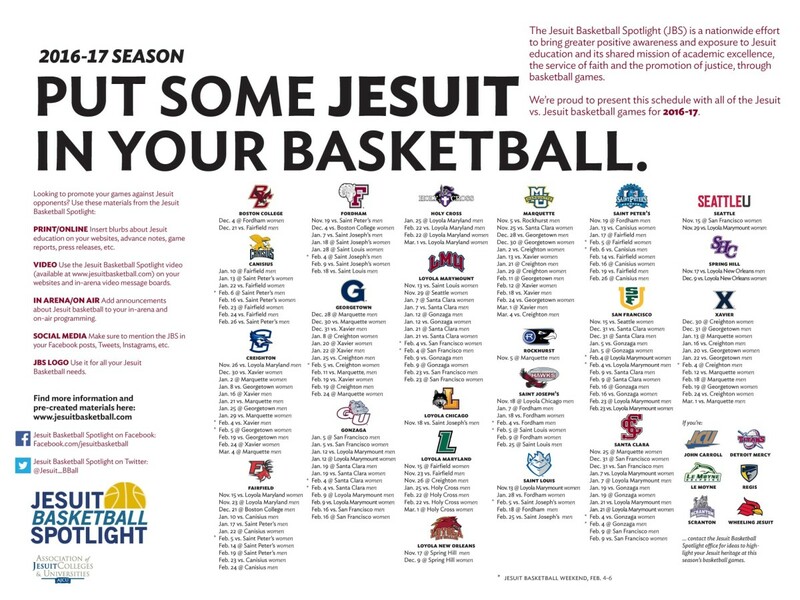 Follow along with highlight emails, get your own 2016-17 poster, and find Jesuit Basketball on social media! Go to www.jesuitbasketball.com for all the details.